Now I am a fan of the Blues; however, not a diehard fan like many in attendance. Therefore, I chose just a few bands to see each day and started with Jim Kirkpatrick's Heavy Weather. 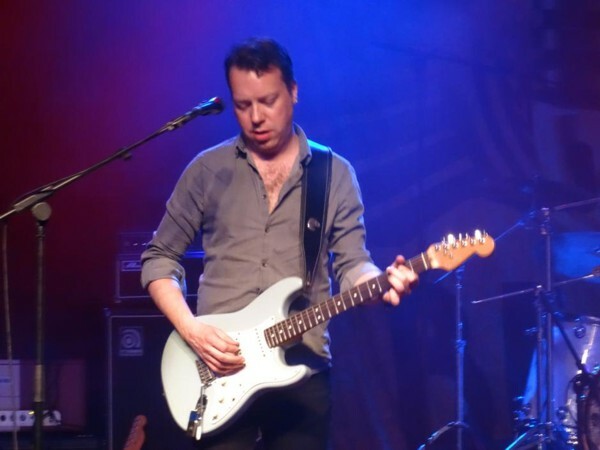 Kirkpatrick is a guitarist I'm very familiar with as he's a member of one of my favourite bands – British AOR legends FM. He joked that he was not used to having to sing, at which point a fellow FM fan shouted "Other Side Of Midnight!" He amusingly replied, "It will be before I sing that one!" Kirkpatrick actually possessed a more than decent voice, however, not of the same silk-like quality of Steve "The Voice" Overland. That stated, what wasn't in any doubt was his ability on the six-string, which he demonstrated with consummate ease throughout his one hour set. By the time I returned to the Academy mid-evening, the larger-than-life Danny Bryant was more than half way through his set and he went down a storm. Although unfamiliar with his material, I enjoyed what I saw. 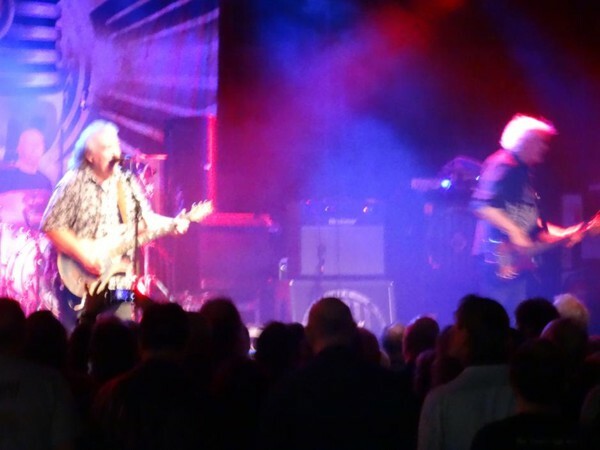 The main draw for Saturday night was guitar legend Bernie Marsden and he duly delivered. As a fan of Whitesnake in the early eighties, Marsden was an integral part of my adolescent years. 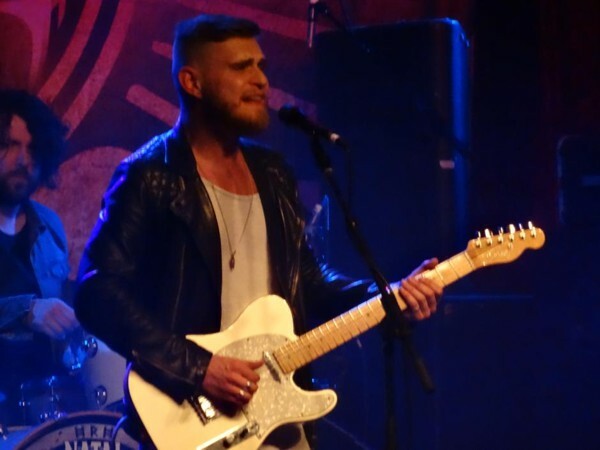 He opened with the Blues classic 'Linin' In The Track', then proceeded for the next ninety minutes to thoroughly entertain a packed Academy with his guitar wizardry and stories from his past. He also unashamedly promoted his new book at every opportunity. Several of the stories, all of which were amusing, I'd heard before, but they were still great to hear again. Sadly, there were no David Coverdale impressions, although The Cov did get several mentions. Marsden commented how he'd been in Frankfurt the day before and was now in Sheffield, at which point a member of the audience said he was in Ireland yesterday; Marsden then asked him where he lived. "Ireland," was the reply, to which Marsden amusingly quipped, "Isn't that where you should have been?" Marsden is one of those guitar players who is at perfect ease with his instrument and makes it appear effortless, whatever the style. Covers like 'Born Under A Bad Sign' and 'Sitting On Top Of The World' (from Booker T & The MG's and Mississippi Sheiks respectively) were interspersed with original numbers. However, it was the Whitesnake classics which were my personal favourites; oddly, not all written by Marsden. With Neil Murray on bass, a third of the classic Whitesnake line-up were up on stage for their versions of the glorious 'Walking In The Shadow Of The Blues', 'Ain't Gonna Cry No More' (actually written by Micky Moody), 'Ain't No Love In The Heart Of The City' (although not a Whitesnake original), 'Here I Go Again' (where the crowd were at their loudest) and, "one for the ladies", 'Is This Love', where Marsden joked that Coverdale would know he had played within ten minutes. Marsden's covers of the Fleetwood Mac epics 'Oh Well' and 'The Green Manalishi (With The Two Prong Crown)' were sublime. He brought Danny Bryant back on the stage for the last few numbers, which included 'Going Down'. The set was brought to a fitting finale with a dedication to the late, great Gary Moore through the Jimmy Rogers cover 'Walking By Myself'. Unfortunately, due to my wife being tired, we returned home and missed out on ex-Mama's Boys' guitarist Pat MacManus. 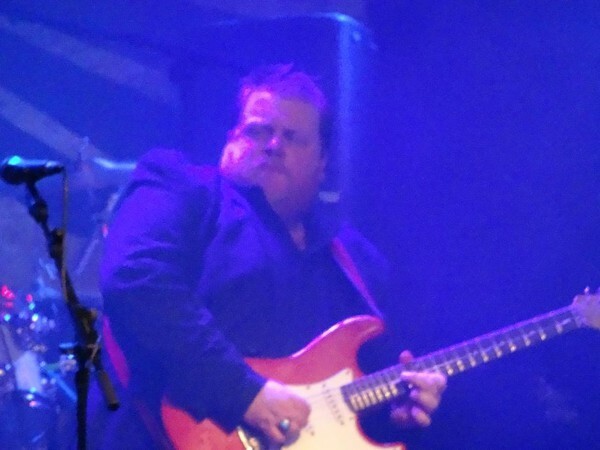 On the Sunday evening I returned by myself to a still-packed venue to see the guitar virtuoso Ben Poole. 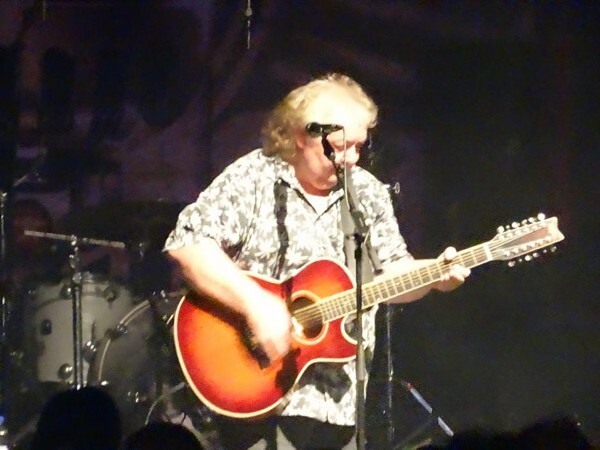 He's got a reputation of being rather special from lots of the legends in the business, including one Gary Moore, to whom he dedicated the superb 'Time Might Never Come'. Other highlights were 'Lying To Me' and 'Have You Ever Loved A Woman'. I have to thank my Fireworks' editor, Dave Scott [You are most welcome – Ed], for sending me Stevie Nimmo's 'Sky Won't Fall' album to review a couple of years ago. I was immediately hooked and saw him, along with Ben Poole (whose album 'Time Has Come' I also reviewed), a few months later. Tonight's set was mainly taken from the aforementioned album and he opened with the awesome 'Roll The Dice Again'. 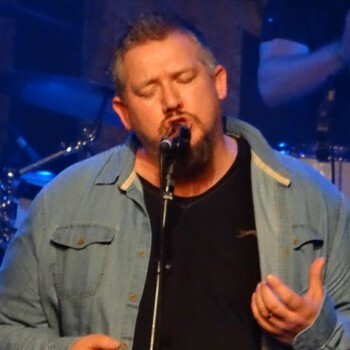 Steve Nimmo just sang this evening and didn't play guitar; this was due to the fact he had succumbed to a bike accident where he broke his arm seven months ago. 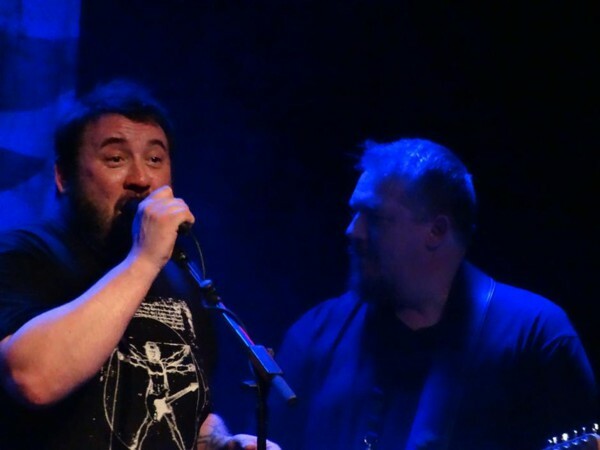 Initially, his brother Alan Nimmo had been assisting with live shows whilst he himself recovered from his own medical condition, but more recently the honour had gone to Dave Devlin to step into the big shoes of Steve Nimmo. However, the shy guitarist, who hid under his baseball cap, has done so with aplomb. 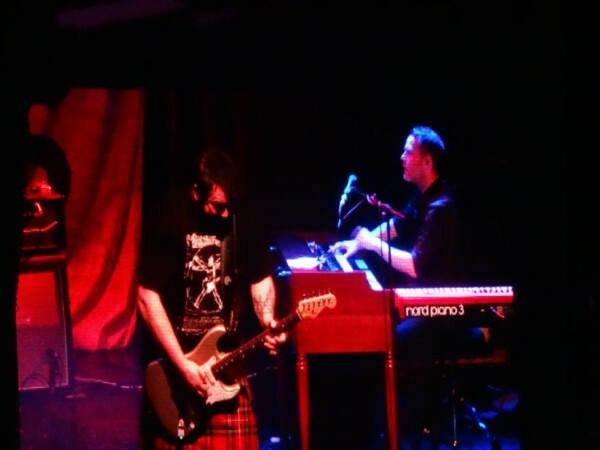 The rest of the talented band was made up of Lindsay Coulson (bass), Wayne Proctor (drums) and Jonny Dyke (organ/piano). However, Steve Nimmo did allow himself to strap the six-string on for one song, the legendary Allman Brother's Band 'Gambler's Roll'. He concluded the fantastic set with the Freddie King cover 'Going Down'. This was the first time I had seen King King live and I was keen to see what all the fuss was about; I was not disappointed. Any band that arrived on stage to an intro tape of AC/DC's 'Highway To Hell' gets a big thumbs-up in my book. Despite it being late on a Sunday evening, the venue was still packed with fans as they continued to enjoy themselves. The band from Glasgow played a good mix of songs from all their albums which seemed to keep the partisan crowd happy, some of whom were no doubt getting very tired by this stage. They opened with the Thunder-esque '(She Don't) Gimme No Lovin'' which highlighted the fact that the kilted Alan Nimmo had definitely got his voice back to full working order. 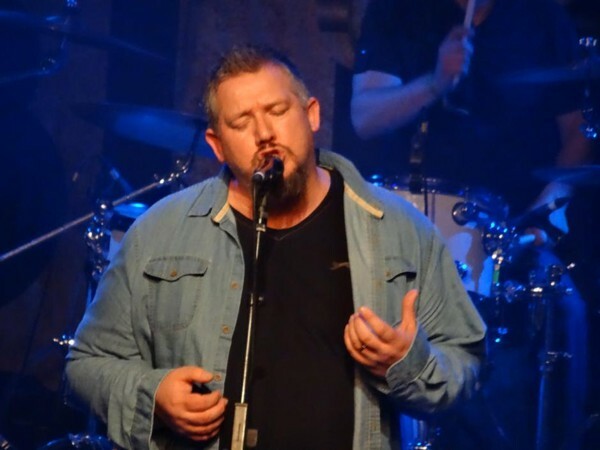 Each song was greeted with wild enthusiasm, from 'Waking Up' to 'You Stopped The Rain' and the excellent 'Broken' from last year's 'Exile & Grace' opus. 'Rush Hour' seemed to be a particular crowd-favourite, whilst 'Stranger To Love' was ruined by the idiots talking loudly at the bar! After over eleven hours of drinking time, there was very little chance that these idiots were going to keep quiet! The main set was drawn to a conclusion with 'All Your Life' from 2011's debut 'Take My Hand'. The band then left the stage, but returned very quickly, conscious of the ensuing midnight curfew. 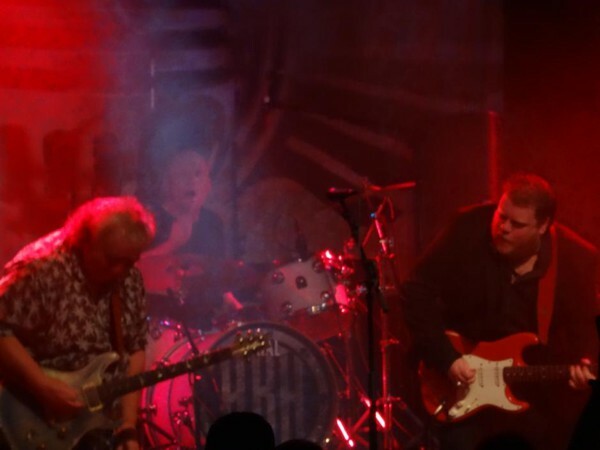 Stevie Nimmo joined his "little" brother on stage for 'Let Love In' where he took lead guitar, whilst Alan Nimmo led the crowd in one final sing-along and brought the fifth HRH-Blues to a successful finale. I think that the Nimmo brothers might have upset some of the traditionalists, as they both love to Rock the Blues to the maximum and did so. I, for one, have no issue with the latter.